Since time immemorial, newlyweds exchange rings as a symbol of their undying love for each other. However, these days, couples have taken their creativity and taste a notch higher compared to a few decades ago. Nowadays, a ring is not just a round shaped ornament that you wear on your finger but a piece of jewelry that accentuates your looks in addition to symbolizing your marriage. Years are gone when only women wore jewelry. These days, men have also embraced the trend and just like women, finding the perfect jewelry pieces is important for them. With that said, choosing a wedding band is something that every modern aged person should pay close attention to. There are wide varieties of stunning wedding bands to choose from. This will depend of course on your personality and your taste in jewelry metal choices, designs, and styles. Men’s Wedding Bands are the hardest to buy since most men do not have some specific characteristics to look for when choosing jewelry. In fact, apart from their wrist watch and cufflinks, the wedding band might be the only piece of jewelry they will constantly wear for the rest of their life. Therefore, when choosing your man’s wedding band you must be extra careful not to end up with something he doesn’t like. It is every girl’s wish to marry the man of her dreams. So, as this is almost a reality and not a dream anymore, you must make sure that you have something special for your man. Every groom deserved to be pampered with the finer things in life as well. Therefore, as a symbol of your everlasting love for him, buy your man a fine looking wedding band. Here are a few tips that will help you find something special for your special partner. Look at jewelry and find out what metal choice he prefers – if the wedding band is a surprise for him, then you might consider peeping in his jewelry box for clues. This is a good move especially if you do not have a clue of the kind of jewelry he likes. If your husband to spend most of his days in official wear, then you might consider a wedding band that will go well with both casual and official wear. To some people, sterling silver is a perfect piece. However, there is a great majority of people who would go for platinum as well. However, this is your husband so go for what he would love. Get the size right – rings are not the best surprise gifts unless you are sure of your partners to ring size. 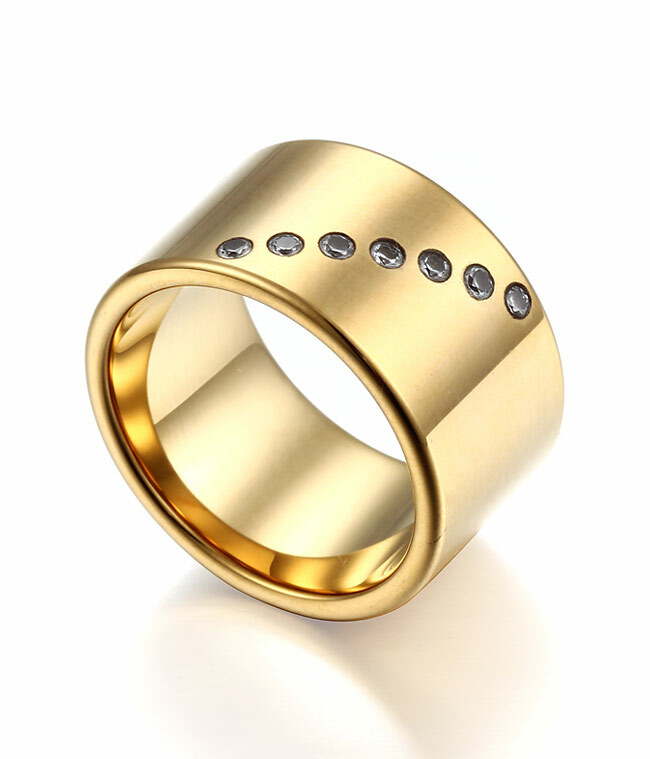 Therefore, if you are buying the wedding band as a surprise for him, ensure that you have the correct measurement. But how can I be sure of the ring size, you might ask? Well, you can take one of his old rings with for the jeweler to look at. The jeweler will then give you the new wedding ring with the exact measurements.